Directed by Rich Moore and Phil Johnston, Ralph and Vanellope’s return to the big screen is very likely to be a winner. It may not have made as much money as Frozen (2013) or received as many awards as Big Hero 6 (2014) or Moana (2016), but that doesn’t change the fact that 2012’s Wreck-It Ralph was one of the most inventive animated films Disney has made as of late. The story of Ralph (voiced by John C Reilly) – the antagonist of the Fix-It Felix Jr arcade game, who no longer wants to be the bad guy – and Vanellope (an effervescent Sarah Silverman) – the glitch in the game Sugar Rush, who wishes she was a racer – the film was irresistibly sweet and undeniably charming. Between the endearing characters and the entertaining setting, the movie left us with many reasons to look forward to the inevitable sequel, which is finally set to arrive this winter. 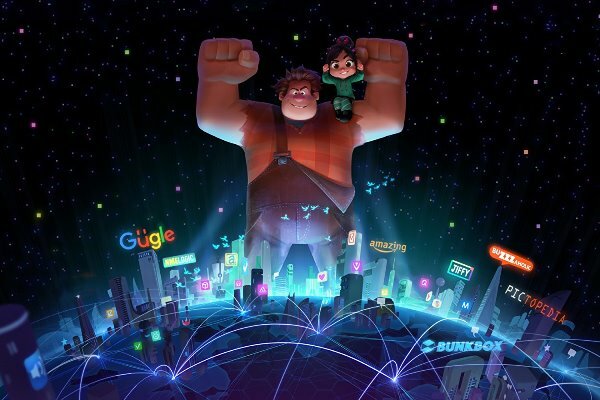 Titled Ralph Breaks the Internet, the movie finds our heroes making their way online, but the trailer doesn’t tell us much about the story, instead focuses on two main targets for its humour: the internet and Disney itself. The film takes the Mickey out of the world wide web, ridiculing everything from the annoyance of the autocomplete feature to the endless amounts of information the internet has to offer. Plus, Disney is digging into its own vaults for this adventure, and referencing properties like Marvel and Star Wars and – what everyone seems to be talking about – the Disney Princesses. 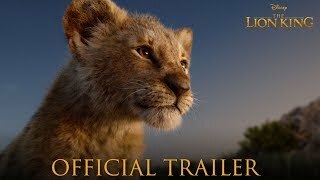 A huge chunk of the trailer is devoted to the Princesses – including Snow White, Cinderella, Sleeping Beauty, Ariel, Pocahontas, Mulan, Rapunzel, Jasmine, Merida, Moana, Elsa, and Anna (mostly voiced by the actresses who played the roles in the original films). The trailer makes fun of Disney’s “damsel in distress” trope as Vanellope tries to convince the other ladies that she too, is a princess. Disney gets further props for self-awareness towards the end of the trailer as the characters discuss the movie’s title, wondering why it isn’t “Ralph Wrecks the Internet” (which it ought to be!) instead of “Ralph Breaks the Internet”. Directed by Rich Moore and Phil Johnston, Ralph and Vanellope’s return to the big screen is very likely to be a winner. The movie seems to be filled to the brim with pop culture references and cameos, and I hope this sequel also comes with a story as touching as the original. Ralph is all set to break the Internet on November 21, 2018.